The Seattle Club is here for you! We meet every Tuesday evening in the U-district. New to SCRABBLE® Clubs? See our New Player Info page. All levels are welcome, from beginner to expert. The first time is always free, but subsequent visits require a $10 fee, collected during the first game. Read our New Player Info page and our FAQs page for more details. The UFM is just west of the north end of the University Bridge. It is easily accessible by bus or bicycle (just off the Burke-Gilman Trail) (see UFM website for map with bus routes & stops listed). While there is limited on-street parking at this location, there are some free spots in the UFM parking lot, and there is a pay lot across the street (see map at UFM website for details). The UFM website also has Driving Directions. 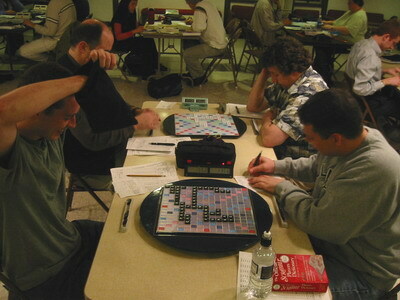 For more details on our Club, and the North American Club and Tournament SCRABBLE® scene, check our Frequently Asked Questions page. Note: throughout this site, purple links will take you to an external web page; green links take you to another spot within this website.